The RVT 2 DWG Suite is a line of conversion utilities (which includes processes a well) that allows users to convert a Autodesk® Revit® Model to a standard Autodesk® AutoCAD® DWG file format. We use the Revit Export to CAD option that is built into Revit of course, but our conversion utilities goes much further and has been customized for different Federal and Provincial Government Dept. and for commercial clients usage as well. Who needs it? Anyone using Revit to create AutoCAD drawing files that need to meet a specific DWG CAD Standard. It does not matter if you are the Architect, Structural, Mechanical or Electrical engineering or if you are an Interior Decorator. If you’ve committed to Revit because of its efficiency over AutoCAD (or other CAD platforms) for production drafting, then you need to finish it up by adding RVT 2 DWG. It will save you countless days of labor! If you need to convert to DWG, but with a different company standard that is not listed below, give us a call, we would be happy to adjust our software to meet your requirements! RVT 2 DWG is currently available in 4 different Standards, PWGSC Atlantic, PWGSC NCA, PWGSC Ontario and NS DTI (Nova Scotia Department of Transportation and Infrastructure). How does it work? The conversion is a 3 step process. The first part of the process (before creating the model) is to learn how to use the pre-built Revit families (such as TitleBlocks, Elevation, Section and Details Markers and other, all included as part of the conversion utility – specific to your standard) which will be compliant to the standard that you are trying to convert to. The second part makes use of the Revit Export to CAD conversion utility to map the Revit object to AutoCAD layers, as close as possible based on the standard you are trying to export to. However, as you know, Revit messes up the Text Styles, Dimensions Styles, layers and many other items. So there is a 3rd step. The third and final step is our conversion utility (which can be run in batch mode using ScriptPro) which takes the DWG file (created by Revit) and cleans up the messy DWG, in order for your DWG file to pass any QA check. Installation Support is FREE. Product support can be purchased separately. Once the software has been purchased and payment has been processed, you will receive an e-mail with an Install Key based on the e-mail address of the user that did the purchase. The Install Key is required to install and run the software. 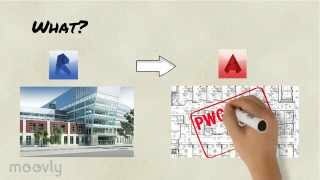 Pre-Requisit: At the end of your cleanup process and before submitting to PWGSC, you will need to run the PWGSC QA check. And since a portion of "passing" the QA Check requires the PWGSC Color Tables for printing, this means you will need to download and install the FREE PWGSC Atlantic, CAD Standard software (see link below).